This year’s Valley of the Sun Podiatry Conference by the Podiatry Institute will take place in Phoenix, AZ. Co-sponsored by the Podiatry Institute and the Arizona Podiatric Medical Association, the conference will be held at the Marriott Phoenix Tempe at the Buttes from April 12 to 15. With a dynamic schedule of lectures, workshops, and education sessions, the conference is set to bring together the best minds in podiatry medicine. This is a must-attend conference for podiatry professionals with the Podiatry Institute approving this activity for a maximum of 25 continuing education contact hours. With its breathtaking panoramic views of blue skies and desert sunsets, cascading waterfalls, sparkling pools and first class dining, the setting provides the ideal getaway and calm learning environment. There will be talks by experts such as Michael J. King, DPM, a Podiatry specialist in Roswell GA, who will give advice on coding, alongside workshops such as a hands-on Podiatric Dermatology Essentials session. Participants will also be able to learn about the latest software developments through meeting with Podiatry EMR vendors, such as 1st Providers Choice who will be exhibiting Podiatry EMR and billing software. EMR Software from 1st Providers Choice comes highly rated from podiatry professionals, with a range of bespoke features. Our secure Podiatry Patient Portal allows podiatry patients to access their healthcare and personal records, helping them to become more informed about their conditions. It can also help patients to feel more involved in their care, leading to patient empowerment and satisfaction. Podiatry patient portal tools allow you to tailor what the patient sees, from results, to physician notes and health summaries. Alongside the patient portal, EMR software from 1st Providers Choice includes podiatry-specific exam and procedure templates, letters and forms, alongside pre-loaded reports and ability to create custom reports. The software includes podiatry-specific billing codes, extensive drug formulary database, and the ability to e-prescribe controlled substances. These features have helped our clients to improve productivity, as well as streamline workflow. With many podiatry practices facing problems with EMR vendors, 1st Providers Choice offer data conversions and make it easy to transition to our highly rated EMR software. Our team offers a high level of support to all clients, ensuring our user-friendly software is well received by all staff, allowing for greater efficiencies within your practice. 1st Providers Choice offers free, no-obligation demonstrations of EMR software for podiatry professionals. Come by and see us at the conference, or schedule your demonstration by calling 480-782-1116 or by connecting with us via our website. 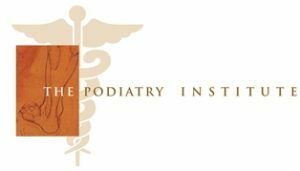 The post The Podiatry Institute – Valley of the Sun Podiatry Conference – Phoenix, AZ April 12-15 appeared first on 1st Providers Choice.